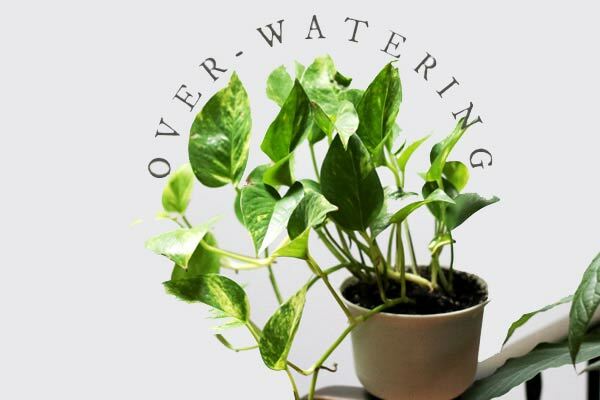 How do you know if you are overwatering your plants? We tend to be so anxious about making sure our garden and houseplants get enough water that it’s easy to forget you can go too far the other way. Here’s some tips for knowing when to water and when to hold off. For indoor plants and containers, also see How Often Should I Water My Houseplants? Too Little Water or Too Much? When we look in our garden and spot a plant looking a little worse for wear, one of our first instincts is to grab the hose or the watering can and water the plant, and sometimes that will do the trick. But, wilted plants are not always needing water. 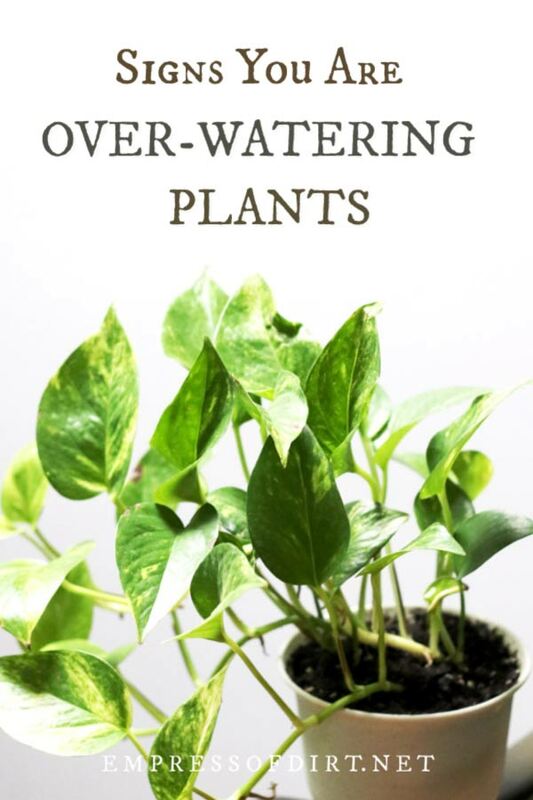 In fact, that withered look may very well be a sign you are overwatering. Plants need water, of course, but they also need air, and too much of one will often block the other. If there’s lots of water in your soil, plants may not be able to get the air they need through the roots. They’re quietly drowning! This can lead to root rot and all sorts of other problems, including edema or water retention, and the death of the plant. Nooooo! Slow-growing, yellowing leaves are another common sign that there may have been overwatering if the soil is not dry. Poinsettias are one tropical plant that do not like too much water. Before watering, the first step is to check if the soil is indeed dry. How often plants need moisture can vary greatly depending on how much the plant is growing and growing conditions. Hot summer days are obvious water thieves, both indoors at the window sill and outdoors in the garden beds. But so are those dry winter days when we’ve got the furnace cranked up and the humidity drops. Over time, you will start recognizing what plants need just by looking at them. But even experienced gardeners can use some help. 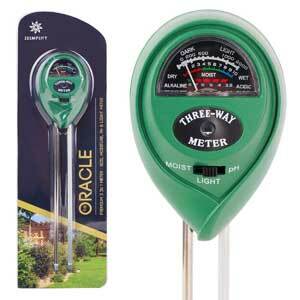 I also use a moisture meter like the one shown here. The probes are inserted into the soil, and the meter indicates the moisture level on a scale of dry to wet. These are great for both outdoor and indoor plants, particularly potted ones. The simplest test of all is to put a finger in the soil about one or two knuckles deep. If you sense moisture, you know lack of water is not the issue. If it’s really damp, it could be that the roots are smothering and need time to dry out a bit. The good news is, the more time you spend with your plants, the better you get to know them. And, the plant care that seemed puzzling at the beginning will gradually become second nature.